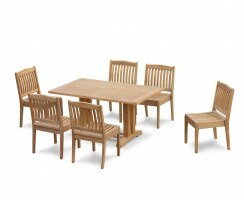 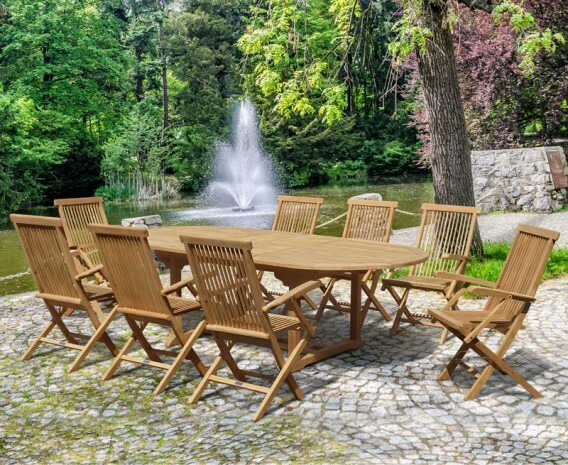 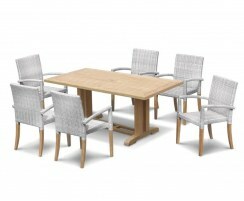 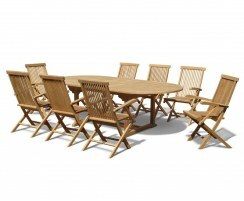 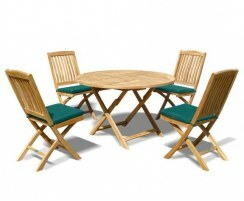 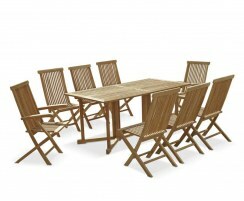 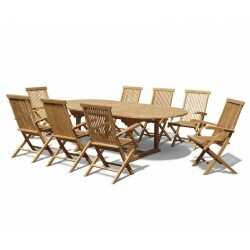 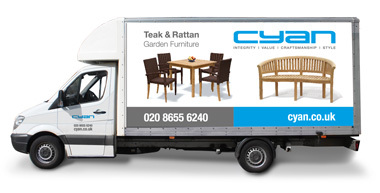 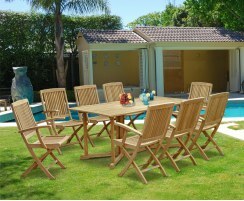 This teak extending table and folding armchairs set is ideal to use as patio furniture for fine alfresco dining – the possibilities for this versatile teak garden furniture set are endless! 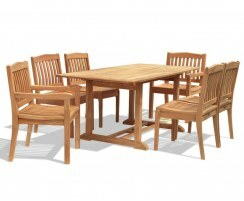 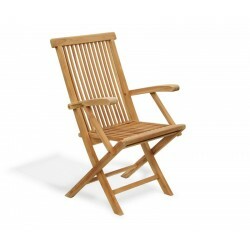 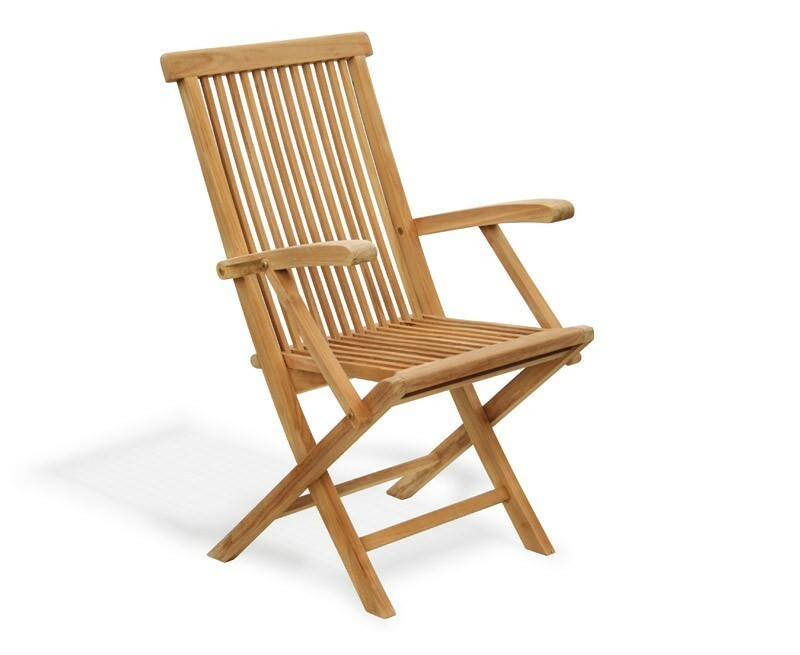 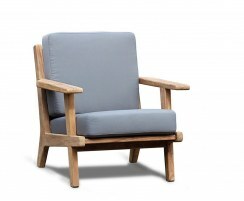 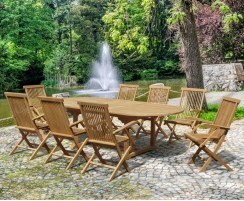 Our great-value teak patio furniture set comes with eight Ashdown folding armchairs, allowing you to dine in style and comfort but reclaim your space when not needed. 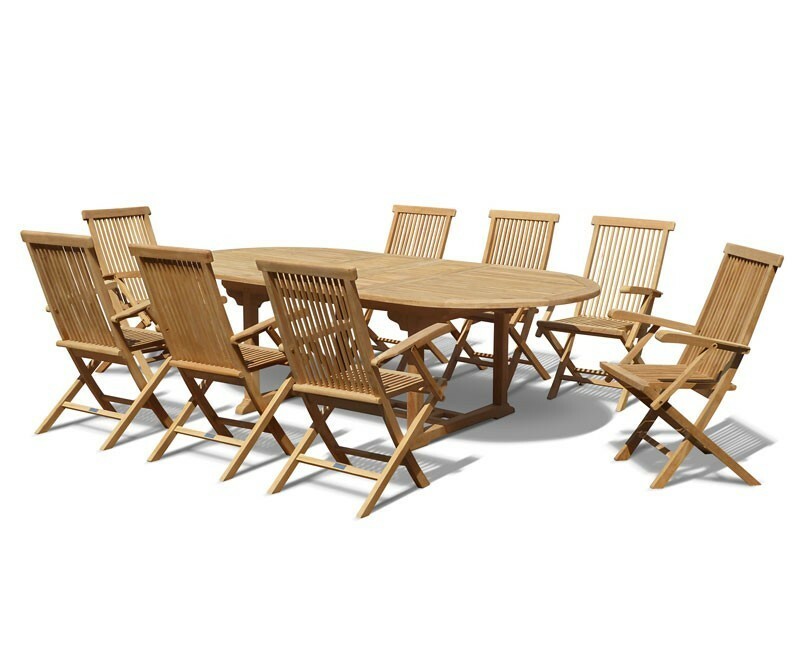 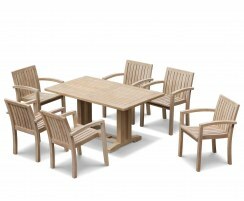 Made from durable plantation teak with mortise and tenon joints, this extending outdoor dining set is guaranteed to look fantastic in any setting for years to come. This teak garden table and folding armchairs set can be left outside all year round, even in harsh weather conditions, requiring only minimal maintenance – we simply recommend occasional cleaning with warm, soapy water. 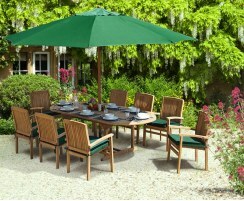 This set includes an oval garden table with unique double butterfly extension leaves which effortlessly stows in the table under-frame on aluminium glides when not in use. 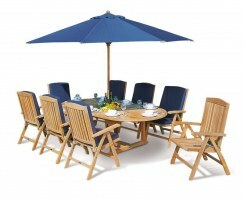 The extending garden table can be lengthened to 2.4m and can comfortably seat up to 10 people, so there’s always plenty of room for get-togethers with family and friends. 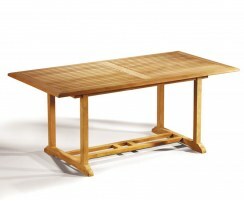 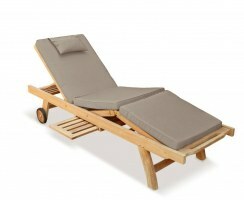 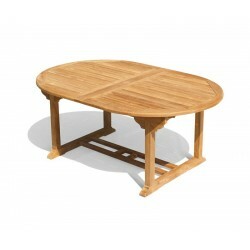 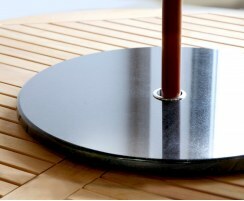 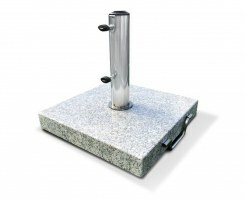 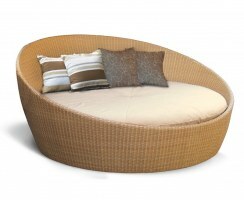 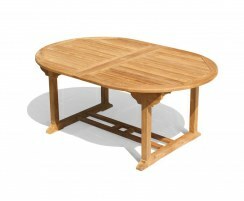 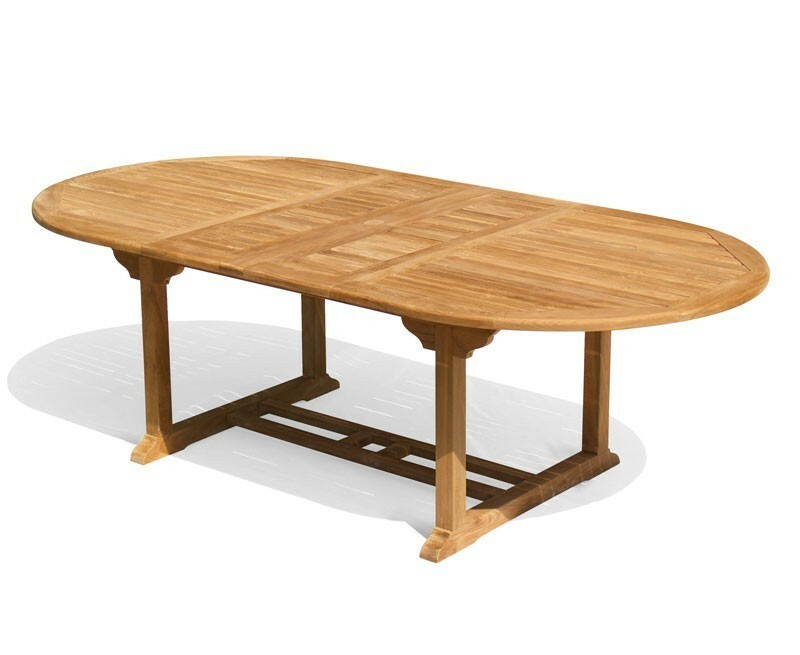 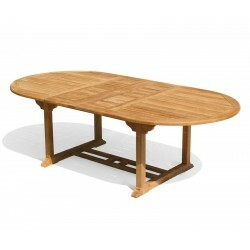 The table features a parasol hole and is supplied with a flush-fitting insert for when a parasol isn’t required. 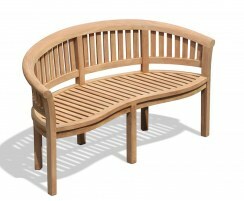 Radial edges on the slats help rain to drain away so your furniture dries off quickly.